Yesterday Andre Villas-Boas was dismissed from his post at Stamford Bridge after just nine months in the job. Chelsea, it seems, will not appoint a new manager until next season, but the likes of Jose Mourinho, Rafa Benitez and Pep Guardiola have all been linked to the job. One of the priorities for whoever becomes the new manager is to get Fernando Torres firing again. For now the once-golden boy of Spanish football still continues to look a shadow of his former self and is at what must be the lowest point of his career. It is a quirk of fate that his fall from grace has coincided with the rise and rise of another Fernando Torres. 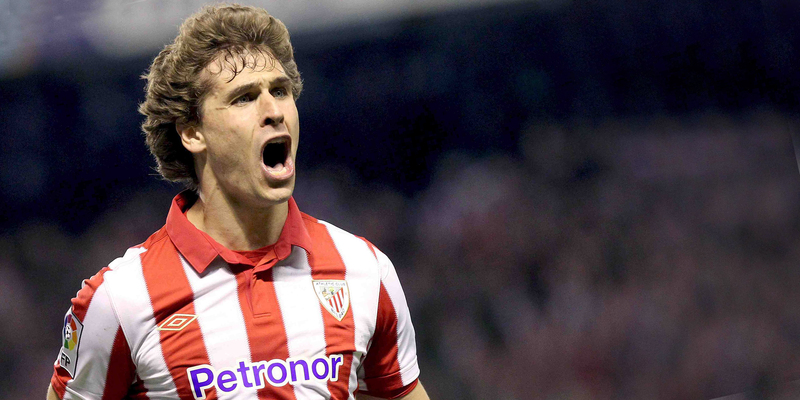 Fernando Llorente Torres. The Athletic striker seems to go from strength to strength and he has now established himself as arguably La Liga’s most feared frontman. This season’s remarkable return of 20 goals in 30 appearances in all competitions is testament to his great ability especially considering his club’s poor start to the season. After Soldado’s debut international hat trick, El Rey Leon has slipped further down the international pecking order. However, with Villa injured for the long term and Fernando Torres struggling he should definitely go to the European Championship with the squad. Who knows, if his form continues he may well play a major part as well, he is certainly good enough. On Thursday he has the chance to really make an impact on the European stage as Athletic travel to Old Trafford in the Europa League. Llorente has already gained a formidable reputation in Spain with many speculating over a potential move to Real or Barcelona, a big performance on Thursday would only enhance his reputation. Athletic have had a great 2012 so far and with a cup final to come, could end it with silverware. A lot of their success has been down to Llorente and he has become a real talisman. He is well on the way to becoming one of the top strikers in Europe.